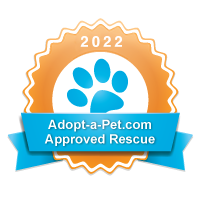 We want you to know that your donations or adoptions will help us provide care, love, and more spaces for homeless dogs and cats, all of whom you can see on the pages of this website. It's easy and safe to do, and only takes a minute of your time. Just click on our Donate button, at right. Thank you! DONATE 100% of your donation goes to helping the orphaned animals in our care. Gifts to our all-volunteer run, 501(c)3 non-profit are tax deductible and much appreciated. Our average monthly operating expenses to feed, provide medical care and shelter for the nearly 50 orphaned animals in our care costs about $10,000. Our animal rescue work survives on individual donations and we need your help more than ever during this difficult economic time. To make a gift online, please use the Donate button. We also have the ability to accept automatic gifts that you authorize through the Donate button. Thank you. If you'd like to make a donation in someone's name, be sure to include it in the message box in Paypal. Thanks to the wonderful kindness of caring folks who remember Lifeline for Pets in their wills and trusts, we are able to carry out much of our daily work. These special gifts help fund everything we do for the kitties, and are vital to providing care for the abandoned and unwanted animals we take in. We are deeply grateful for every such gift we receive, no matter the size, as even the smallest gift will help provide food, warm bedding, veterinary attention, and, most importantly of all, help us find loving homes. You can help us carry out this labor of love by leaving us a gift in your estate plan. Because there are different ways to do this, please consult with your estate attorney or financial advisor. VOLUNTEER It feels good to be kind and giving to the animals! We have a terrific volunteer team, and we are always looking for a few more good-hearted people to help with cleaning, adoption events, fundraisers and more. If you are interested in joining our fun while making a positive difference for the animals, call Kathy Hart at 626-797-1753.
. . . I wanted to help all of you. Meeting Shazi and a great organization, I just knew what I wanted to do with some of my free time. FOSTER It is much better for a rescued kitty to be housed in a loving foster home. Fostering is an invaluable service to an animal in need, can prevent kitty depression, promote better health and socialization, and restore the confidence and love that has been lost. Lifeline pays for all vet care, and the foster home takes care of litter and food. Call Kathy Hart at 626-797-1753 for more information. Even your summer break can save lives! Each summer, millions of unwanted cats and kittens are taken to shelters across the country. As a result, many are put down because there just isn't enough room for them all. If you can dedicate your summer to socializing and caring for 1 or 2 cats, give us a call. Helen found this kitten, abandoned on a busy street, wailing for help. She fostered her for us, and then couldn't bear to give her up! Now the two are as happy as clams! RALPH’S Go to www.Ralphs.com and register your Ralph’s card to benefit Lifeline for Pets under their Community Contributions Program. 1. If you don't have a Ralph's card, sign up for one at any Ralph's store; 2. Call 1-800-443-4438, supply your card number and tell them you'd like to support Lifeline for Pets. WISH LIST Foster homes, cat food, litter, towels, sheets, cat furniture, cleaning supplies, laundry detergent, and paper towels, Friskies canned cat food, Science Diet dry food, kitten food, and Petco, Petsmart and Home Depot gift cards. BE OUR ANIMAL ADVOCATE If you cannot adopt or foster, please be one of our Animal Adovcates. These folks just choose one or two of the cats posted on our Cat Pad page, and do all they can to “market” it. Let us know which ones you choose, and our Web Manager will send you the official pictures and description blurb. You can make flyers, posters, share on Facebook and with your email contacts, place it in church classifieds or with your school, workplace, or club connections. The more exposure our precious pets can get, the better are their chances for adoption. This is a purr-fect way for you to help right from home! Write to info@lifelineforpets.org if you can do this. We are always happy to accommodate seniors whenever possible. 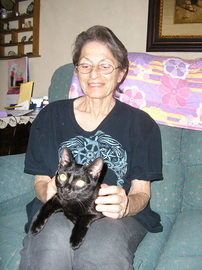 Often, they have had to give up their cherished pets, due to their health or living conditions. Yet, it is known that having a pet is beneficial to one's health (see this excellent article for a description of the benefits and things to consider). 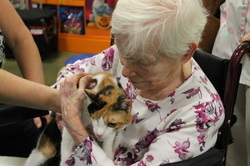 At Lifeline for Pets, we have a Senior Discount for age 55 and above, at 50% off the regular adoption fee, as long as there is a plan in place as to who will take over the pet's care in case the senior becomes unable to continue its care. BUYING OR SELLING A HOUSE? Select a realtor at www.homeforchange.com and they will donate a percentage of their commission to the non profit of your choice! Lifeline for Pets' 501c3 Tax ID is 95-3786746. Buying or selling a house? Select a realtor at www.homeforchange.com and they will donate a percentage of their commission to us! Lifeline for Pets' 501c3 Tax ID is 95-3786746.